I mentioned in this post that I'm fairly enamored with my new little camera. 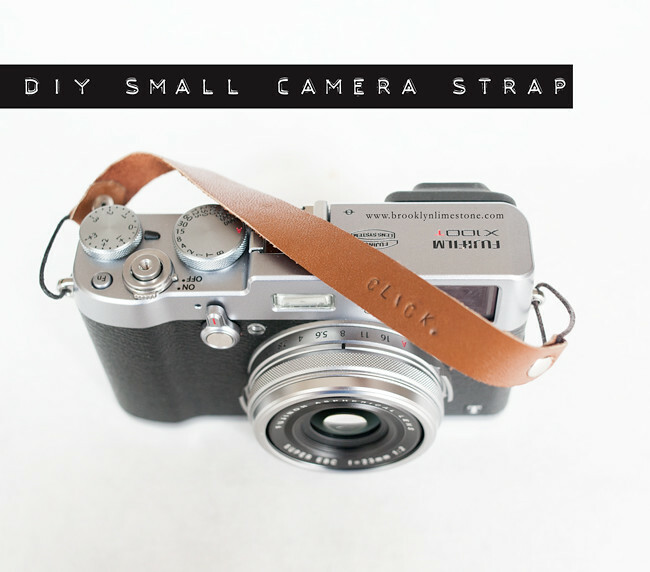 It needed a strap so I decided to play around with some of the materials I had around. It's the kind of project you can bang out in about an hour so it would make a fun valentines gift as well. 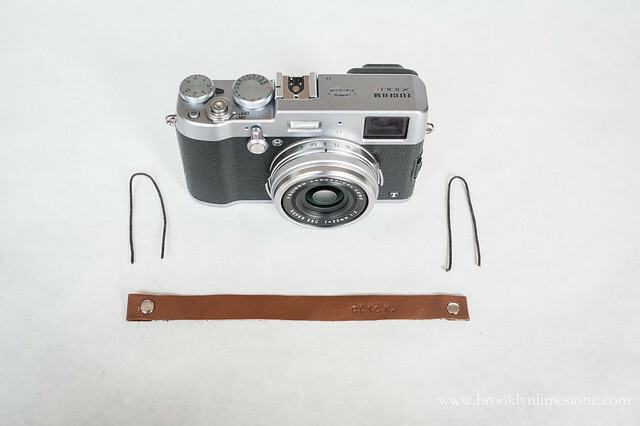 You'll need: a scrap piece of leather at whatever length and width you would like for your camera, 2 rivets , a short length of cord (or if your camera has d rings, you can't attach the strap directly and skip the cord). 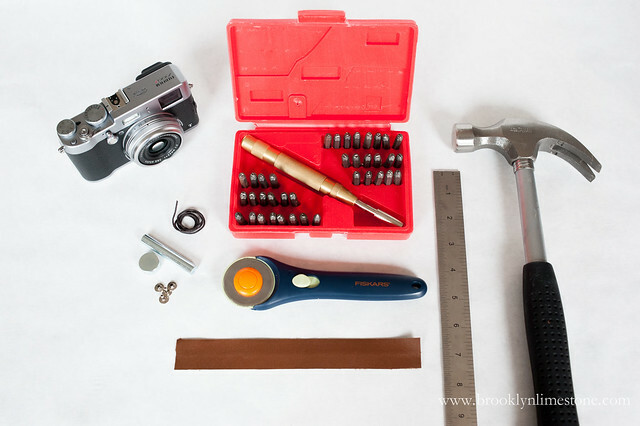 You'll also need to have a hammer, a metal straight edge, a rotary cutter and letter stamping set. 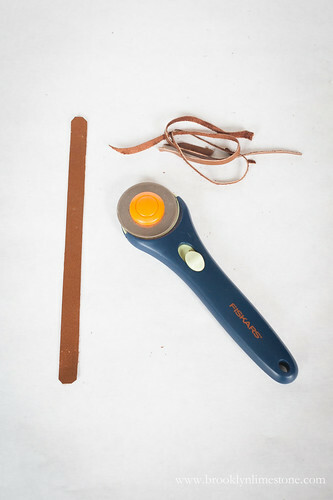 Cut your leather to the desired size and sheer off a little triangle at each corner. I did this all by eye since precision isn't that important but feel free to measure. 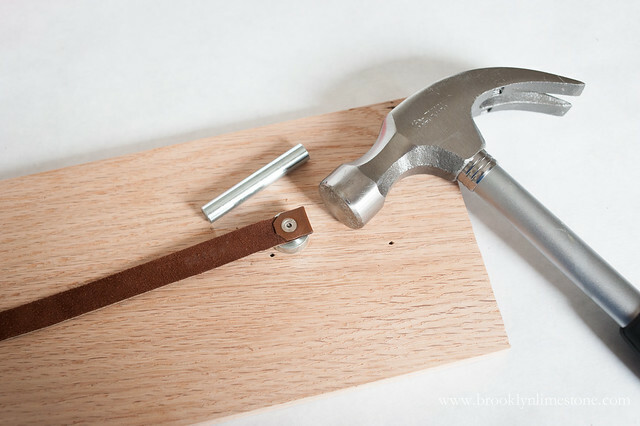 Fold over a small portion of each end and attach your rivet. 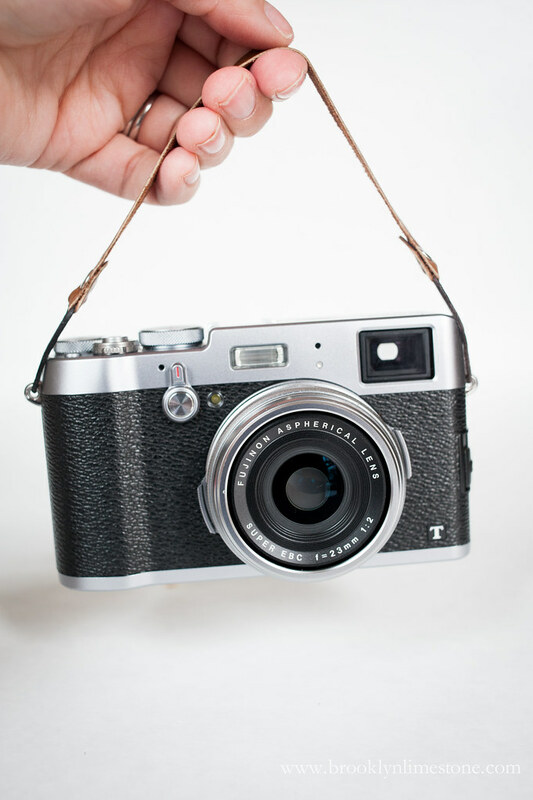 Thread the cord through the looped end of each end of the strap and attach to the camera using a knot. Voila! 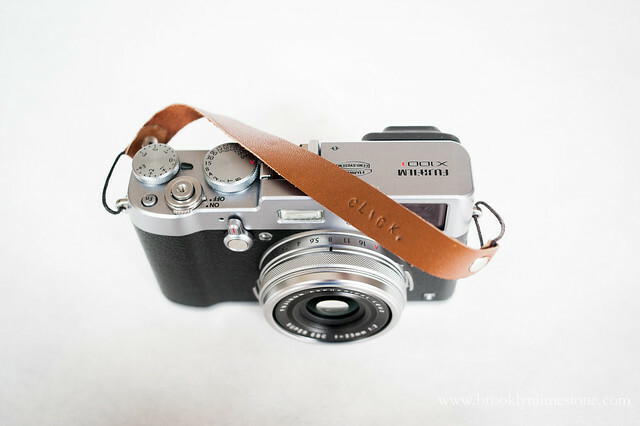 A quick and easy way to personalize a simple camera strap for a small camera like mine. 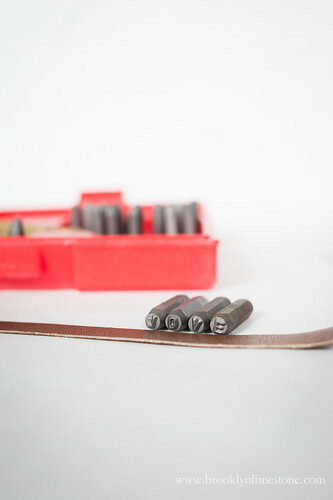 What are the chances, if I found longer leather, I could do the same thing but for my DRSL? Think it would still work? 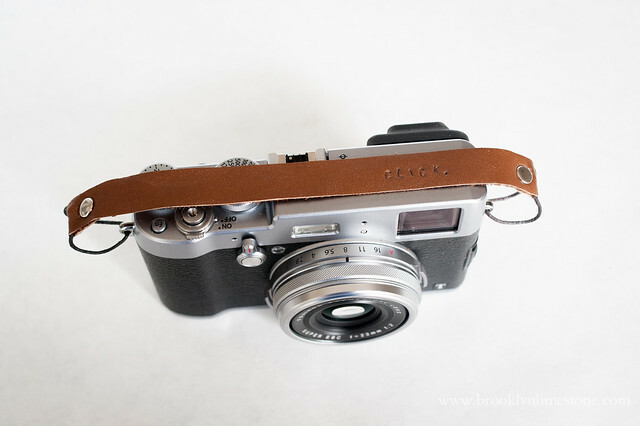 I think if you used a thicker piece of leather and solid D rings rather than cord, it would totally work.